You Are Here: Home > 2019 INFINITI QX50 vs 2018 BMW X3 | Which is Better? 2019 INFINITI QX50 vs 2018 BMW X3 | Which is Better? The compact luxury sports utility segment is filled with models from virtually every luxury automaker. To help the prospective buyer choose the right compact luxury sports utility vehicle, we’ve set up a comparison of two popular models, the 2019 INFINITI QX50 and the 2018 BMW X3. This comparison will measure both compact luxury sport utility vehicles across three categories. The first comparison will look at the standard luxury amenities, the second comparison will examine performance and the final comparison will look at the safety features of both the 2019 INFINITI QX50 and the 2018 BMW X3. While the 2018 BMW X3 has well-appointed standard features, the 2019 INFINITI QX50 has innovative technology such as the InTouch™ dual displays and Forward Emergency Braking with Pedestrian Detection not found on the 2018 BMW X3. The 2019 INFINITI QX50 offers a standard 2.0-liter Variable Compression Turbo Engine which outputs 268 horsepower. The 2018 BMW X3 features a standard inline 4-cylinder TwinPower Turbo engine which displaces 2.0 liters at 248 horsepower. That means the 2019 INFINITI QX50 standard engine has 20 more horsepower than 2018 BMW X3 while both engines displace 2.0 liters. While both vehicles provide an extensive list of standard safety features, the 2019 INFINITI QX50 offers all-new innovative features such as the INFINITI Advanced Air Bag System which adjust airbag inflation rate as well a seat-belt occupant detector. 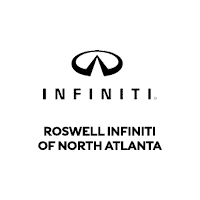 To take a test comparison of the 2019 INFINITI QX50 at Roswell INFINITI. Be sure to contact us for pricing and availability.